Lex Tooling, LLC, is located on the north side of Tipton, Indiana. 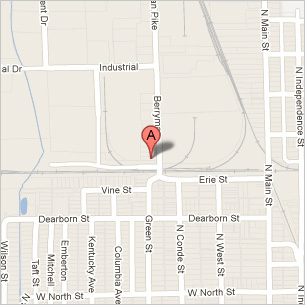 On the map below, click in the area between Kokomo and Anderson to get a closer view of Tipton's location. The intersection of Indiana state roads 19 and 28 is on the city's east edge. Tipton also is located about 5 miles east of the intersection of Indiana 28 and U.S. 31. Tipton is located northeast of Indianapolis, northwest of Anderson, southeast of Kokomo and west of Lafayette, Indiana.